Each year many new grape varieties and clones become available to the public after completion of testing at Foundation Plant Services. Wine grape clones from vineyards in Europe and California were added to the FPS foundation grapevine collection in 2016. Highlights of those selections were presented at the FPS Annual Meeting in Davis on December 1. Some of the more interesting grape varieties currently in the pipeline at FPS were also previewed. Commercial grapevine plantings in the Spinelli Vineyard and Emerson Ranch Vineyard in Oakley, Contra Costa County, date from the early days of the California grape industry. Those vineyard properties were purchased by the state for wetlands restoration in the early 2000's. Matt Cline of Cline Vineyards and MAC Wines rescued clonal material reportedly planted in those old vineyards in the 1880's and donated it to the FPS public collection in 2014. Five selections completed testing and were released in 2016: Carignane 12, Carignane 14, Carignane 15, Cinsaut 05 andMourvèdre 08. Two other heritage selections from California vineyards have been revived at FPS after undergoing microshoot tip tissue culture disease-elimination therapy. Charbono 03.1 from the Inglenook Vineyard in Napa was a part of the FPS foundation vineyard in 1965 but later suffered from disease. 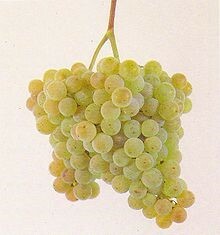 Chenin blanc 05.1 from the Martini Vineyard in the 1960's also suffered from bunch rot and leafroll and was put on hold. Both selections underwent treatment and were released again in 2016. Ridge Vineyard has been making wine for years from vines at the old Whitton Ranch in Geyserville in Sonoma County. The vineyard of primarily Carignan and Zinfandel grapes was reportedly planted in the late 1880's by Andrew Boutin, a colleague of Luther Burbank. Four other cultivars were interplanted amongst the Carignan and Zinfandel vines - Beclan, Mourtaou (aka Mancin), Petit Bouschet, and Saint Macaire. Ridge donated the four heritage clones to the FPS foundation grapevine collection in 2013. Cuttings from the four cultivars have undergone testing at FPS and are expected to qualify for the foundation vineyard in 2017. Several Italian selections were added to the foundation vineyard at FPS. A variety new to FPS is Brachetto, an aromatic black wine grape from the Piemonte region of Italy. Brachetto 03 was donated to the public collection by Peter Anderson of Eusinus Vineyard, a small Italian research block in Carlsbad CA. 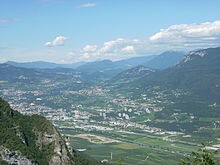 Marzemino is a late-ripening red wine variety grown in northern Italy and is suitable for cooler climates. 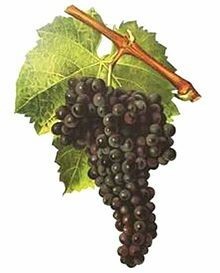 Marzemino 03.1 originated from the vineyard of the UC Davis Department of Viticulture & Enology in the early 20th century via the USDA Germplasm Repository. Nero d'Avola (Black of Avola) produces dark, rich wines with characteristics similar to Syrah. The Sicilian variety has been the focus of interest to FPS customers since 2008. Nero d'Avola 05.1 from Vivaio Federico Paulsen in Palermo, Italy, came to FPS that year as a result of a varietal exchange and is the first Nero d'Avola selection at FPS that was sourced directly from Italy. The Sicilian Nero d'Avola selection was released in 2016. A white Sicilian cultivar named Grillo is used as a base for good quality Marsala wine. Grillo 02.1 came to FPS from the USDA Germplasm Repository in Davis and should complete testing in time for release in 2017. A black wine grape from the Veneto region of northeastern Italy, Raboso Piave, may also qualify for release in 2017. Two proprietary selections were brought to the United States in 2014 by Vivai Cooperativi Rauscedo (VCR) in 2014 - Fleurtai and Soreli. The two white wine varieties with floral aroma are both crosses of Tocai Friulano and Kozma 20-3 and were bred for possible powdery mildew resistance. Fleurtai 01 and Soreli 01.1 may be obtained from VCR's licensee, Novavine Grapevine Nursery. FPS entered an exchange agreement regarding a series of Greek grape selections as a result of a seminar on Greek wines held at UC Davis in 2013. Fassoulis Grapevine Nursery from Nemea in the Peloponnese region of Greece participated in the seminar and afterward agreed to donate desirable clones of select Greek varieties to the FPS public grapevine collection. Although FPS already has many Greek varieties collected by Dr. Harold Olmo in his trip to Greece in 1949, Fassoulis Nursery indicates that their newer clones may have unique qualities having been selected and developed more recently. 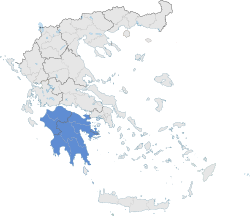 In 2014, FPS received Agiorgitiko, Assyrtiko, Malagouzia, Mavrodaphne, Roditis, Savatiano, and Sultanina. In 2015, the nursery sent Agiorgitiko, Athiri, Avgoustiatis, Black Corinth, Fokiano, Kidonitsa, Limnio, Vertzami, Limniona, Vidiano, Xinomavro, Moschofilero, Sklava, Zlahtina. In exchange for donation of the material to the public collection, FPS will return to the nursery cuttings of the varieties after they have been disease-tested and treated. Roditis 02 (clone F1 from a vineyard in Nemea) is an old white wine grape variety with pink berry skin that was released in 2016. Roditis is a common variety in Greece and is best grown at high altitudes. The remaining selections from Fassoulis Nursery are still in the pipeline at FPS, undergoing testing and treatment. FPS has a unique relationship with the wine grape industry in Croatia. As reported in 2004, scientists from Zagreb University (Croatia) and UC Davis collaborated to solve the mystery of the identity of California's Zinfandel variety and Italy's Primitivo. Both those varieties share a DNA profile with the ancient Croatian variety Tribidrag, also known as Pribidrag and Crljenak kaštelanski. FPS has imported several clones of that original variety for comparison and possible diverse characteristics. The climate of Croatia approximates that of California, and some wine makers believed that native Croatian varieties could perform well in California also. FPS entered an exchange program with representatives from Zagreb University who agreed to donate Croatian varieties to FPS and in return receive tested and treated clonal material. In 2016, several Croatian selections emerged from quarantine. Babic 01.1 is a red wine grape from Dalmatia.Malvasia Dubrovacka 01.1 is an ancient white cultivar grown in Dubrovnik since the 13th or 14th century. 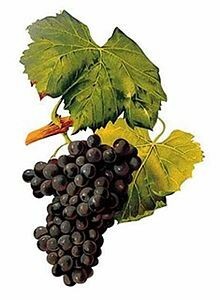 Sansigot 01.1 is black wine grape from the clonal selection project of the University on the island of Krk, Croatia. It is expected that a Glavinuša selection (a red grape with fruity aromas suitable for dessert wines) will successfully complete testing in 2017. Many wine grape selections from varieties traditionally associated with France are released each year to the FPS foundation collection. FPS has accumulated a significant collection of grapes of the Rhône region of France, thanks in large part to Tablas Creek Vineyards of Paso Robles, California. Tablas Creek has donated many cultivars and multiple clones of cultivars to FPS from vineyards in southern France. Grenache noir 13.1 qualified for the foundation vineyard in 2016; the material initially came to the United States in the 1980's from France through the quarantine program at Geneva, New York. A fourth Mourvèdre selection (FPS 11.1) from Tablas Creek was released in 2016 for the Rhône collection at FPS. Duarte Nursery added to the Rhône selections at FPS donations of a Syrah and several Grenache noir (aka Garnacha tinta) selections from Georgetown and Paso Robles, California, vineyards. Five Grenache noir selections and the Syrah 'Alban 2' selection qualified for the foundation vineyard in 2016. Syrah 38.1 was imported in 1949 for Dr. Harold Olmo (Professor, UC Davis Department of Viticulture & Enology) from the Viticulture & Horticulture Establishment in Milan, Italy. The plant material was donated to the USDA Germplasm Repository in the 1980's and came to FPS in 2000. A new Pinot blanc selection successfully completed testing and treatment at FPS in 2016. Plant material labelled 'Weissburgonoler' came to FPS from Geisenheim, Germany, via the quarantine program at Oregon State University in 1979. At the time, FPS did not have an importation permit due to the retirement of Dr. Austin Goheen. The scientists at Geisenheim believe that the erroneous name on the importation documents was a typographical error at the time. Wiessburgunder is the German name used for the French grape Pinot blanc. French ampelographer Jean-Michel Boursiquot professionally identified the selection as Pinot blanc in 1996. FPS named the new selection Pinot blanc 03.1. Barbaroux is a pink-berried cultivar native to Provence and also grown on Corsica under the name Barbarossa. The variety is occasionally made into wine and is used for table grapes. FPS acquired a selection named Grec rouge (a synonym for the name Barbaroux) from the USDA Germplasm Repository in 2007. The material had been in the UC Davis Department of Viticulture & Enology vineyard since the time of Frederic Bioletti; Dr. Olmo donated the variety to the Repository in 1983. FPS named its selection Barbaroux 01.1, which qualified for the foundation vineyard in 2016. The Institut Français de la Vigne et du Vin (IFV) manages the sale and distribution of official French winegrape clones in the United States through the ENTAV-INRA® trademark program. Their proprietary clones are sold by IFV licensees, such as Sunridge Nursery and Herrick Nursery. In 2016, three wine grape clones were released by FPS from quarantine: Cabernet Sauvignon 1564; Chardonnay 1067.1 (Côte d'Or, Burgundy); and Sauvignon 905 (Gironde). FPS has a large collection of Iberian grapes from Spain and Portugal. Dr. Harold Olmo focused on the collection of those cultivars when he began his plant exploration travels in the 1940's; he was particularly interested in port wine varieties and accumulated numerous port cultivars in the department collection at UC Davis. FPS developed a relationship with scientists at the Instituto Tecnológico Agrario de Castilla y León (ITACyL) in Valladolid Spain beginning in 2005 and thereafter received many clones from the Spanish national collection. Jorge Boehm, owner of PLANSEL S.A. in Portugal, has donated clonal material to the FPS public grapevine collection and imports proprietary Portuguese clones that are distributed through PLANSEL licensees. Albariño is an aromatic, high-quality white wine grape usually grown in the Galicia region of Spain. FPS received Albariño clone CL 17 (Valladolid) from ITACyL in 2006. Albariño 03.1 was released from quarantine in 2016. Dr. Olmo imported two cultivars in 1984 that were finally released to the foundation vineyard in 2016. Periquita ('parakeet') is a versatile red grape variety grown in southern Portugal; Periquita 03.1 was collected at the Regua Agricultural Station in the Douro in 1984. Castelã is an old Portuguese black wine grape variety that is maintained in the Douro region of Portugal today primarily for its genetic value. Castelã 01.1 was imported in 1984 by Olmo for evaluation. A much-requested selection from Argentina that has been confused with a Spanish cultivar should be released soon to the foundation grapevine vineyard at FPS. The confusion stems from ambiguity resulting from naming. 'Torrontés' is the name of several white wine grape varieties grown in Argentina as well as a different (and apparently unrelated) indigenous variety grown in the Galicia region of Spain. The selection currently undergoing testing at FPS is from the highest quality of the three Argentinian Torrontés varieties - Torrontés Riojano. The variety is sought for its aromatic quality, attributable to parentage of Muscat of Alexandria and Criolla chica (Mission). The FPS selection was received in 1988 from the National Institute for Agricultural Technology (INTA), Mendoza Research Station in Argentina. It should be available in 2017. Geisenheim is located in western Germany on the banks of the Rhine River. Research in viticulture and horticulture commenced at Geisenheim in 1872. Geisenheim University has recently activated a program for marketing and distribution of its grape clones in the United States and has engaged FPS to process the material through quarantine and maintain the proprietary clones in the foundation vineyard. Geisenheim submitted two Chardonnay clones to FPS for testing and treatment in 2014; both clones were released from quarantine in 2016. Chardonnay 134.1 is Geisenheim clone 1-19 Gm. The second clone, released as Chardonnay 140.1, is unique in that the berries have red-pigmented grape berry skins that are thicker than normal Chardonnay. The cultivar is known is some areas of Europe as Chardonnay rose. It is reported that this Chardonnay clone is less affected by botrytis. Geisenheim has also imported two Riesling and two Pinot noir clones for sale in the United States. The Rieslings are from the early days (1920's to mid-1950's) of the clonal selection program at Geisenheim. Riesling 31 (clone 64-177-3Gm) is an old clone with good production. Riesling 32 (Steinberg 7-5-9Gm) was once cultivated by monks during the Renaissance. The Pinot noir clones are clone 20-13-28-8Gm and clone 37-1-6Gm (to be released in 2017). Geisenheim has also introduced a comprehensive set of rootstocks. Dunkelfelder 01.1 was obtained from the USDA Germplasm Repository in 2012 at the request of a national group of viticulture researchers seeking grapes that thrive in cooler climates. Dunkelfelder is a red-fleshed German teinturier cultivar reported to be an early ripener. The selection qualified for the FPS foundation vineyard in 2016. Korona is a vigorous white wine Hungarian grape variety with reportedly high yield. The cultivar is a cross of Juhfark x Irsai Oliver. Research papers report that the Korona has well-balanced acidity with a mix of fruit and green pepper taste. Korona 01.1 was sent to FPS in 2014 by Karoly Bakonyi, University of Pannonia Georgikon Faculty Chair d'Horticulture, Hungary. 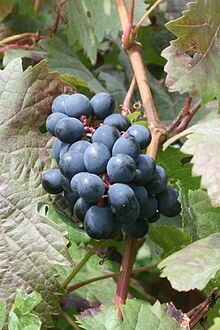 Kozma 55 01.1 is an interspecific black wine grape hybrid from Hungary. The cultivar was requested by the National Clean Plant Network for use in the central region of the United States. Two table grapes from the Mediterranean region were released in 2016. Nehelescol 01.1 is an ancient white table grape with large bunches from Israel. Zeiny (Zeini, aka Afus Ali) 01.1. is a white table grape from Lebanon. Dr. Malli Aradhya, scientist at the USDA Germplasm Repository in Davis, has made periodic trips collecting grape cultivars in the region traditionally thought to represent the historical origin of grapevine germplasm. He has travelled to Azerbaijan(2009) and the Republic of Georgia (2010) seeking representative samples of popular grapevine cultivars from those regions. Eleven table grape selections from Azerbaijan, including a light red table grape with elongated berries (Nail 01.1), were released in 2016. 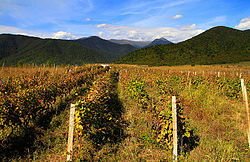 The Republic of Georgia is home to over 500 grape cultivars and the earliest archaeological evidence of grape domestication. Wine merchant Darrell Corti (Corti Brothers, Sacramento) has suggested that wine grape cultivars from Georgia offer good potential for winemaking in the United States. Dr, Aradhya collected numerous wine grape cultivars from Georgia during his trip there in 2010. Some were tested and returned to the Repository for caretaking. Others were installed in the FPS foundation vineyard in 2016. 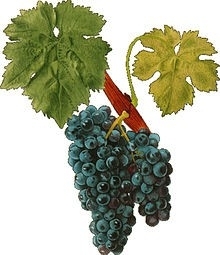 Two Saperavi clones (black wine grape) and Chinuri (a white wine grape) are a few of those Georgian selections. FPS seeks to develop its collection of hybrid grapes and other grape cultivars that have demonstrated resistance to a bacterial pest that has long plagued wine grape growers in the southern and southeastern regions of the United States, i.e., Pierce's Disease. The disease has recently reappeared in a meaningful fashion in California. Mark Black of the Texas AgriLife Extension (Texas A&M) has submitted to FPS for testing and treatment numerous wine grape cultivars believed to be effective in resisting Pierce's Disease. Those include cultivars such as Blanc du Bois, Lomanto, MissBlanc, and Victoria Red. Four new releases are expected for 2017: MissBlanc 01.1 (white wine bunch grape hybrid, Loomis, Mississippi); Phoenix 01.1 (white wine hybrid from Germany); Victoria Red 01.1 (red table/wine grape hybrid, University of Arkansas) and Villard blanc 01.1 (white wine cultivar, vigorous with large and loose clusters, French hybrid). Budwood for the cultivars mentioned above can be obtained directly from FPS, and grafted vines are available from wholesale grapevine nurseries that participate in the California Grapevine Registration & Certification Program. Mist-propagated plants (green plants on their own roots) may be ordered directly from FPS. The '.1' suffix on selection names indicate that vines have qualified for the FPS Russell Ranch Foundation Vineyard. The list of wholesale nurseries that sell foundation vineyard material and additional information about those FPS selections may be found on the National Grape Registry, www.ngr.ucdavis.edu.